Bone Guyo used to beg neighbors and shopkeepers for food for her children. Her husband did not work and her only source of income came from her livestock. When the drought came and the livestock suffered, Bone had nowhere to turn. “Those were very hard times,” remembers Bone, “I was sometimes able to sleep, but I would sleep without food.” The most difficult part for Bone was seeing her children unhappy. Bone Guyo pictured with three of her five children in her home. 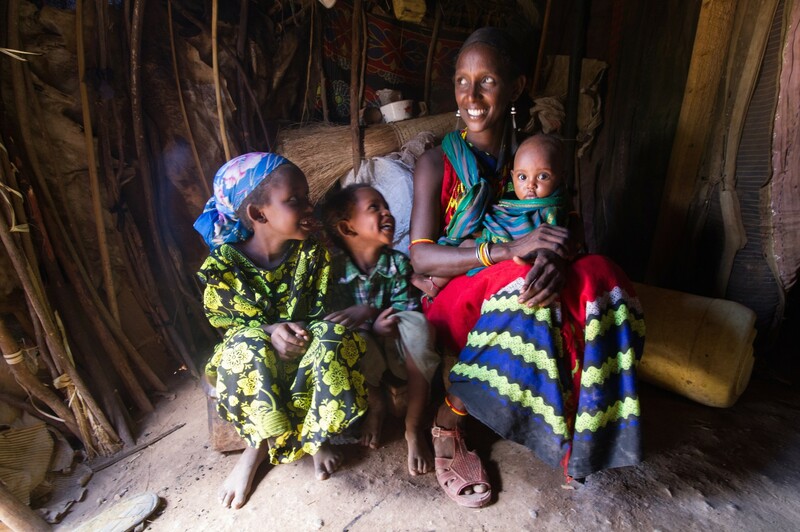 Bone is one of over 10,000 mothers whom BOMA has helped graduate from extreme poverty.